I wasn’t too surprised last summer when Polzin Glass added auto repair to their business. 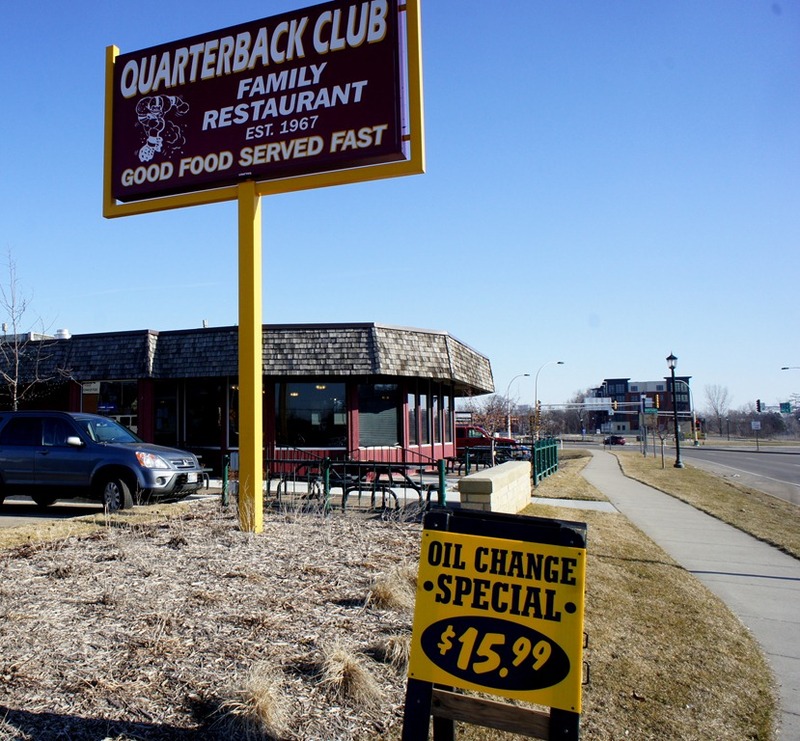 But I was taken aback yesterday when I noticed an ‘oil change special’ sign in front of the Quarterback Club. This recession is tougher than I thought. Previous PostOles & Carls toss cans, bottles & Zamboni tires on ice during club hockey brawl; ref injured, police called. This is a friendly rivalry?Next PostNorthfielder Max Henson, R.I.P. New Business in the garage next door. I believe the name is Tony’s Glass?